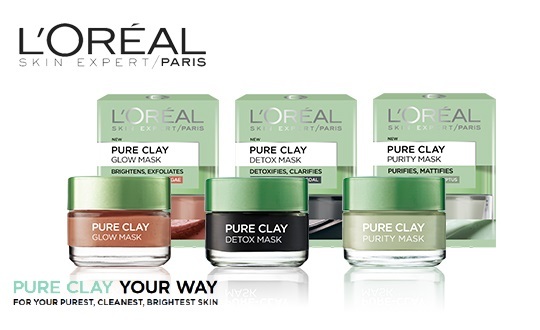 Beauty brand L’Oreal swapped traditional advertising for real social media buzz to introduce its Pure Clay Masks – and got a 51% sales boost. L’Oreal Paris UK partnered with influencer marketing firm BzzAgent to harness the power of social media on the mobile image messaging app Snapchat, for the launch of its Pure Clay Mask skincare products. From its global network of “everyday influencers”, BzzAgent – customer-science company dunnhumby’s advocacy platform – engaged more than 2,000 of its UK Agents in the campaign targeted at women aged 20 to 55 years old. It inspired them to pamper themselves by “claying the day away”, sharing photos, reviews and videos on Snapchat and other social-media platforms. With an emphasis on Snapchat, more than 500 “snaps” and stories were created and shared before, during and after the users’ trials of the L’Oreal Pure Clay mask products, using the hashtags #clayyourway and #multimasking. To communicate that a free sample of the product was provided, Agents included the hashtag #gotitfree. Overall, the campaign was run across 6 social platforms and generated more than 5,800 pieces of engaging content, reaching more than 741,000 people. This resulted in a 53% increase in social conversations and drove a 51% sales lift for Pure Clay products (measured in a match market test conducted by IRI). The Snapchat activity was a major driver in the sales results. Snapchat is one of the fastest growing social platforms, and now the second most used platform after Facebook. It’s a particular favorite of female millennials, an important and hard to reach target for brands. The value for brands is that the quality of the content shared on the platform is excellent. Snapchat users are very creative with their “snaps”, telling stories with their photos, filters, animations and videos. It’s an ideal platform for brands who know how to embrace it. “This was a fantastic opportunity for us to test Snapchat to drive consumer advocacy getting real people to snap and share their experiences of the L’Oreal Clay mask product” adds Becky Cutbill from L’Oreal. “BzzAgent is a key partner for L’Oreal and we’ll continue to explore Snapchat for everyday influencer campaigns in the future”.